Would You Pay More at the Pump to Have Better Roads and Bridges? If Americans want better roads, they should pay a little more for gas. That’s an idea the Trump White House floated this week, with National Economic Council director Gary Cohn telling a group of lawmakers on Wednesday they would have a chance to increase the gas tax when the administration takes up infrastructure next year, according to Politico. 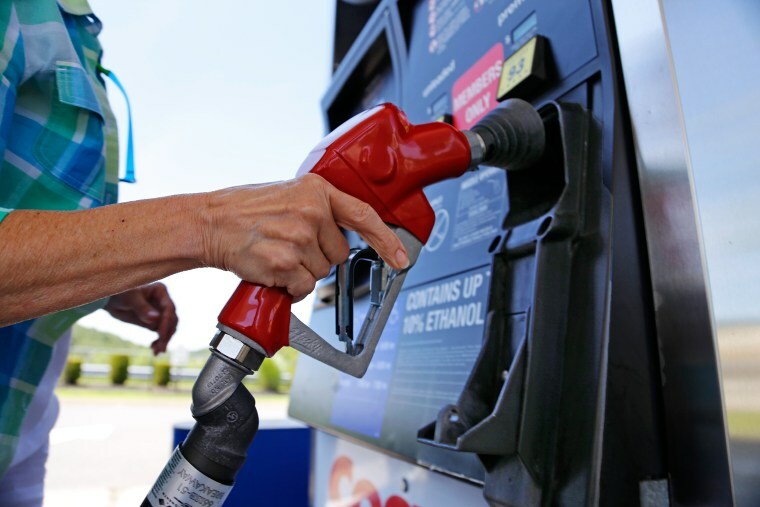 The United States’ federal gasoline tax hasn’t been raised in more than two decades and the nation’s aging infrastructure needs shoring up — but finding lawmakers willing to vote on legislation that would increase prices at the pump could doom the idea. “I think there’s an understanding and awareness on the part of the public that our infrastructure needs work,” said Pat McKinnon, senior director at Euler Hermes North America. A lawmaker’s support could still become fodder for attack ads in next year’s midterms, said Richard Auxier, research associate at the Tax Policy Center. Congressional Republicans who campaign on a pledge to never vote for a tax increase could be especially vulnerable, he added. Still, support from the White House might mitigate this. Donald Trump signaled back in the spring that he would be open to raising the gas tax. “It’s something that I would certainly consider,” he said in an interview with Bloomberg News, stipulating that this was conditional on the funding going for highway projects. The Highway Trust Fund has been decreasing and could be operating in the red as soon as 2021 without an infusion of revenue, according to the Congressional Budget Office, and a disparate group of trade organizations and business interests support the idea of increasing the federal gas tax. “There is widespread agreement that an infrastructure package will not only provide funding to fix the nation’s aging roads and bridges, but also will generate jobs and improve the economy,” said Jill Ingrassia, managing director of government relations and traffic safety advocacy at the AAA. The current federal gas tax of 18.4 cents per gallon was put in place in 1993 and hasn’t been raised since. State taxes and fees — many of which are engineered to rise automatically with inflation — contributed an average of 26.5 cents per gallon last year, according to the Department of Energy. The Hill cited unnamed sources specifying a seven-cent increase, which would bring federal gas taxes roughly in line with what motorists already pay at the state level. If the current gas tax had been indexed to inflation back when it was implemented, motorists would be paying 31 cents today. “Frankly, it may be more wise to simply tie the gas tax to inflation, as many states have already done on their own,” said Patrick DeHaan, head of petroleum analysis at GasBuddy.com. Even if the political will could be mustered to implement this increase, it wouldn’t be a panacea for the nation’s aging roads. DeHaan estimated that it would generate $10 billion annually in additional revenue — a drop in the bucket in the context of Trump’s stated goal of a sweeping $1 trillion infrastructure plan. If divided evenly, this would only allot $200 million to each state, DeHaan pointed out. “That $200 million would be gobbled up in one or two large projects per state,” he said. Others counter that this would still help out. McKinnon pointed out that infrastructure investment has a multiplier effect, generating jobs in materials production, construction and a host of support services. “The knock-on effects of infrastructure development are well recognized. I think there’s a huge benefit, far and above the obvious seven cents in the local economies where the infrastructure will be developed,” he said. Ingrassia said American drivers are already paying the price for deferred maintenance. “Drivers are also paying an additional $960 a year in wasted time and fuel due to traffic congestion” that results from poor road conditions, she said, and vehicle damage has cost $15 billion over the last five years. Given today’s political propensity for tax cuts over tax increases, though, these arguments might not be enough to get lawmakers on board.